Puchong is situated within the borders of Selangor. Puchong has become modernised due to the recent development that has taken place over the years, paving the way for multiple residential areas, amenities and facilities, catering to the needs of the nearby communities. 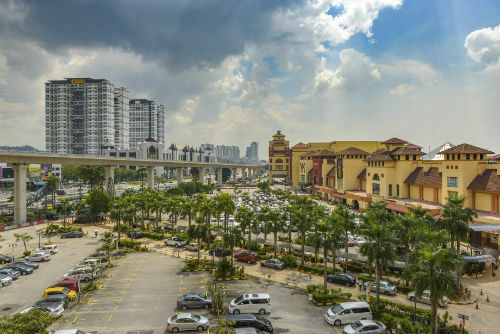 Puchong has seen the development of shopping malls, housing areas and the recently developed LRT stations, linking Puchong to various parts of the Klang Valley and beyond. Accessible through the use of bus and train. Has many amenities catering for the various neighbourhoods. 40 minutes drive away from KLIA. IOI Mall is a shopping mall situated along the Damansara-Puchong highway. It is also accessible with the use of the LRT as well. Visitors have the option of shopping for groceries at AEON, watching a movie at Golden Screen Cinemas or even grabbing a drink at Starbucks. SetiaWalk is home to various retail outlets, apartments, offices, hotels and entertainment centres, overlooking waterways and fountains. All of these amenities equate to a relaxing ambience to shop, dine and work. Bus travels to and from Puchong to many other cities has never been easier. There are several bus services at convenient timings from Puchong that are available for booking online on Catchthatbus or via mobile app which can be downloaded for free on Google Play or App Store.